Many of us make risottos, but how many of us throw convention to the wind and bake them? Until recently I had not, but as I already bake rice I just thought, what the heck. What’s the worst that could happen? I know it is no big deal to ‘feed’ a risotto its stock and stir constantly (! ), but how much easier to cover the grains in stock and just slam it in the oven? Much easier. In fact, put on a load of washing, vacuum the downstairs, unpack the dishwasher when you could be stirring rice, kind of easier. Or, if you are so inclined, to sit and watch The Big Bang Theory (my usual), uninterrupted by the task of constant stirring. So, this method allows one to do yet more work, (or watch the telly). Point in its favour. But you may wonder about the consistency. As rightly you should. Isn’t risotto supposed to be a little al dente and quite wet? How does one control that from the comfort of one’s sofa? The short answer is one doesn’t. 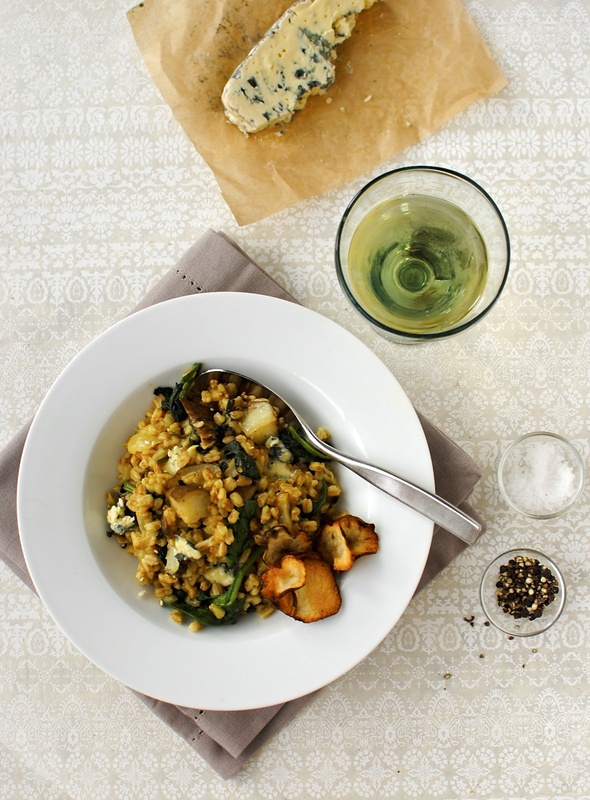 But if you choose the ‘right’ grains – the risotto rices or spelt – they do the work for you. Basmati rice ain’t going to cut it. I don’t want to oversell the concept of the oven-baked risotto. This risotto would not pass muster in a restaurant as a ‘proper’ risotto – or with an Italian – but for a wholesome, delicious and fuss-free meal, it is hard to top. It is also hugely adaptable – different stock, varying base flavours, a plethora of add-ins, which makes it good for using up other leftovers and bits in the fridge. Leftover shredded chicken would be great in this. This baked risotto recipe may be just right for you as I have written it, but if it ends up a little dry for your liking, just pour in a little more stock and give it a stir. Or if you like it drier then cook it a little longer. Let your personal preference be your guide. In this recipe, using Sharpham Park Pearled Spelt, I have opted for the uber-seasonal sunchoke – aka Jerusalem artichoke, a gorgeous chunk of (Scottish) Strathdon Blue and fresh young spinach. If sunchokes disagree with you – and they do me a bit – just swap them for butternut squash, or you could use the artichokes to flavour the dish (I adore the flavour) in large chunks and just pull them out for serving, adding in mushrooms or more spinach to round out the finished dish. Both sunchokes and squash are a bit sweet when cooked but the cheese and spinach balance the whole dish beautifully. This is the end of my first week of Sharpham Park’s One-Month Spelt Challenge, and I am loving it. It has been pretty easy to replace my normal ‘evening’ grains with spelt. I don’t have grains every night, but tonight (I am writing this Thursday night) I am enriching a vegetable and leftover roast beef soup with some of the risotto grains. The soft and chewy grains will be perfect with the crunchier vegetables. This weekend I am hoping to bake some bread. Not just any bread, but Chelsea buns! I won’t tell you exactly what I am going to do with them but if you have been reading me a while, you may just be able to guess where I will go with them. Hint: east. Btw, if you like the more traditional, sweet Chelsea buns, here is Great British Bake Off winner Frances Quinn’s recipe for Chelsea ‘Flour’ Show Bun Bouquet. It is very involved but looks well worth the effort. Have you tried spelt? Do you ever throw caution to the wind and bake risotto? What is the secret to your risotto? Can you handle sunchokes?? Baked risotto feels like a bit of a cheat. After all, standing and stirring the grains into soft and chewy submission is part of the deal. And don’t get me wrong, I LOVE traditional risotto. But if you have toddlers running around, chores to do, or a few hundred emails to read, babysitting a risotto isn’t always a good weekday meal option. This all-in-one method just might bring risotto into the realms of possibility. I have gone very UK seasonal with this recipe, but do swap out the gorgeous Jerusalem artichokes/sunchokes for butternut squash (more gut friendly), mushrooms, asparagus or zucchini. You can make it even easier by using pre-chopped onions and leftover roasted vegetables. And vegans, I have umami-licious options for you too. PS. 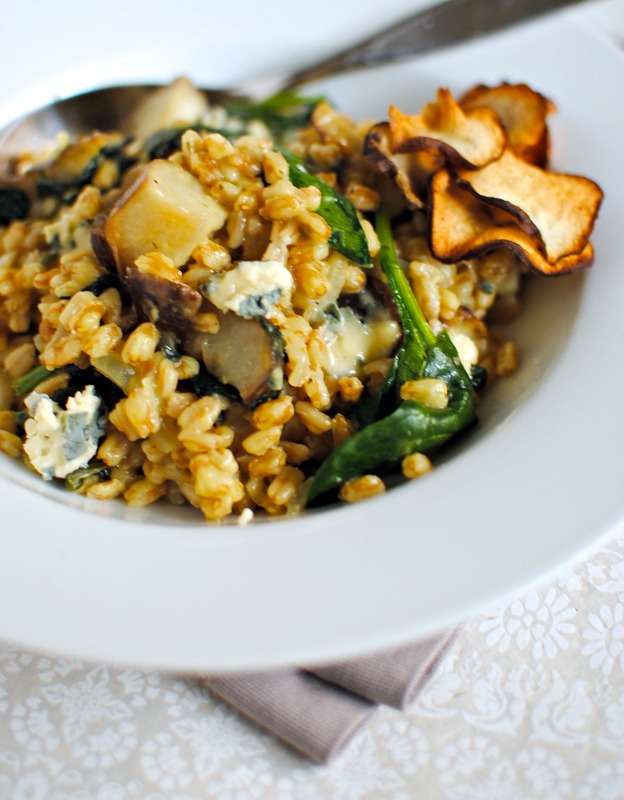 I bet you can use your own tried and true risotto recipe using spelt for rice. Chop the sunchokes into bite-sized pieces and rub with ½ tablespoon of olive oil. Place on a baking tray and roast in a 180C/350F oven for 40 minutes. If using butternut squash roast for about 20 minutes. Both of these steps can be done a day or two in advance, although the ‘chokes will discolour (it doesn’t affect the taste). While the ‘chokes are roasting, heat the remaining oil with the butter (or all oil) in a ovenproof lidded dish or pot (I use an old Le Crueset pot) and sauté the onion for about 5-6 minutes, until softened. Add the garlic and nutmeg and sauté a few more minutes. When the onions are translucent and have lost their raw smell, add the pearled spelt and stir well. Pour in the wine and let it fully absorb, then pour in all of the hot vegetable stock and bring back to the boil. When it boils, pop on the lid and place in the oven. Bring the sunchokes out of the oven. Bake the risotto for 30 minutes. Remove the pot from the oven and carefully stir in the artichokes, spinach and cheese. Replace the lid and bake for a further 10 minutes. If your oven is ‘fast’ the risotto may cook more quickly and need a stir in of extra stock. We like our risotto less wet than is probably traditional so adjust to your liking. If you like quite a ‘soupy’ risotto, use 1 litre of hot stock rather than 800ml. Serve warm with extra cheese, some sunchoke crisps (see below), a few fresh spinach leaves and a side of fresh greens. Very thinly slice cleaned, blemish-free sunchokes and toss in a little oil – so they are barely coated. Place in a single layer on a parchment paper lined baking sheet and bake at 200C/400F for between 15 and 25 minutes, rearranging during baking if some are faster than others. They will not be uniformly golden, and may be quite brown in patches, but the chips will taste delicious nonetheless. 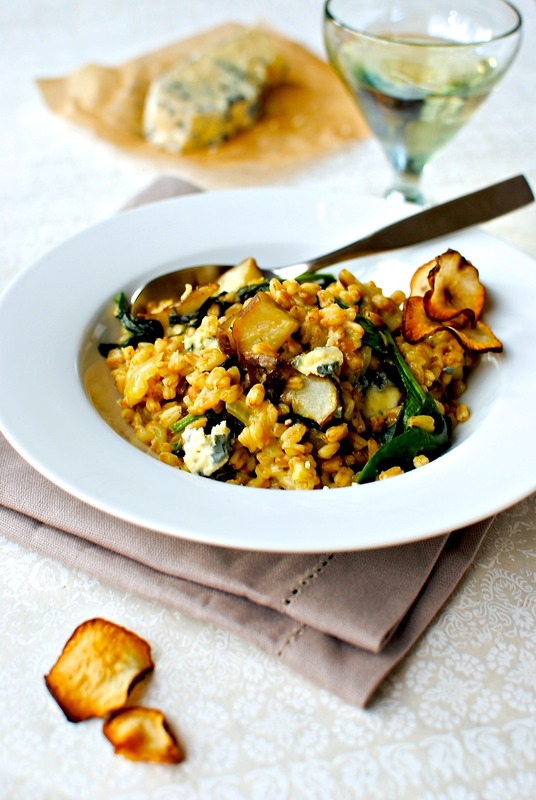 Beautiful accompaniment to game roasts, earthy soups and of course this risotto. Some people who are sensitive to the whole sunchoke are fine with them as a crisp! FYI here is a good article from The Kitchn on spelt and how to use it, and here is one from them on the difference between spelt and farro. I must add that pearled spelt cooks more quickly than non-pearled (whole grain), and is perfect for risottos. It is full of filling protein and fibre too. It is not however suitable for anyone on a gluten-free diet. Nor does it have the same nutritional profile as whole grain spelt. Disclaimer: I have not been paid in any way to use Sharpham Park products, but I did receive a package of their products to try. My recipes, recommendations and my opinions are my own. This looks so delicious – and utterly craveable! Yum! Wow this looks fantastic. I haven’t heard of oven baked risotto before, what a great idea. I was also eyeing up an artichoke in my local green grocers the other day. I will be trying this, this weekend. Thank you! Yes, with rice, although I mostly eat grain free I do enjoy the occasional little bit of rice, gluten-free flour and gluten-free pizza, for now at least. Thank you for this wonderful recipe. Yum! What a delicious recipe! Thank you for sharing. I think baking a risotto is fine, especially whe you choose such wonderful flavours to go in it. I have used Sharpham park flour before and loved it, and their breakfast cereals are good too. 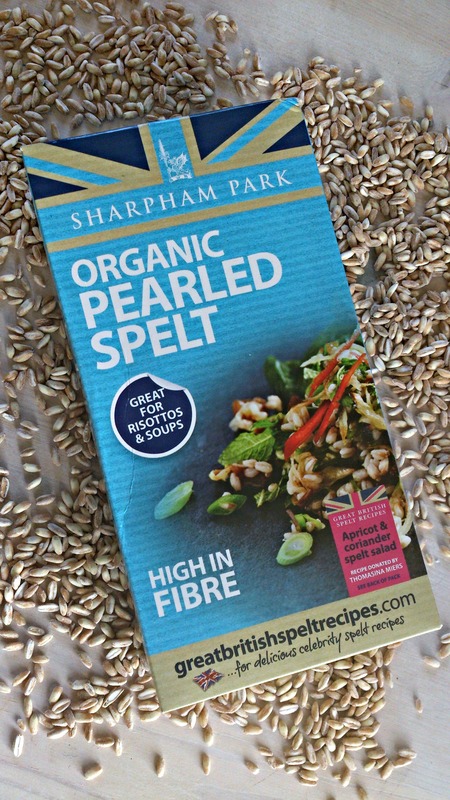 This pearled spelt is now on my list to try! 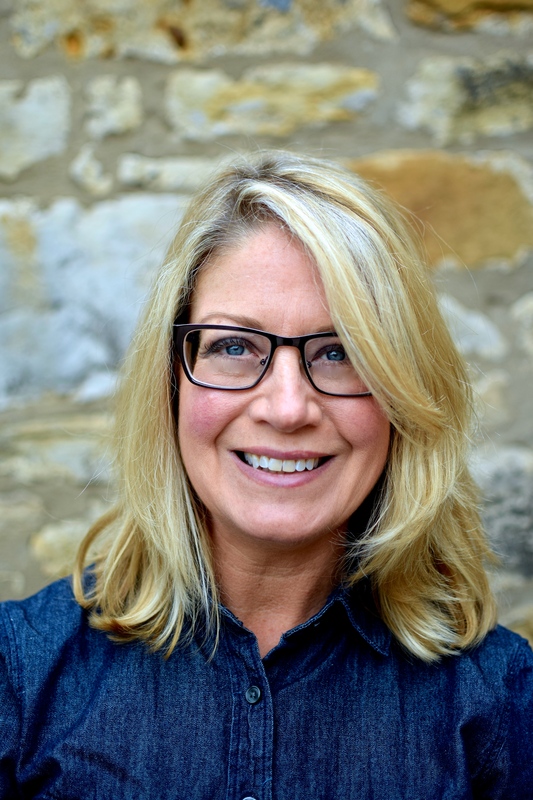 A Sharpham Park convert – yay! I wish their products were more widely available. Up here they are mainly in waitrose and health food stores. And I’m glad you – a proper chef – agrees about baking risotto. It’s a good trick, isn’t it? Mmm, wonderful news! I have never tried baking a risotto – I am totally intrigued now, must try, pronto. Thanks for this nugget of information and lovely sounding recipe. I always put a glug of martini in my risotto – I just love the smell when it sizzles with the butter and onions, mmm. Of course this must sound almost repellent at this time of year for you Antipodeans. Like asking you to sit in a sauna! The barley would be good of course (although I’m less keen on its texture) – very ‘cheffy’. Not sure about buckwheat, it I’m sure that’s more a matter of how long to bake it. Longer, I suspect. Some of your home grown Autumn-harvested goodies in here would be grand. Spelt risotto! Sounds good. I use spelt only to make bread. Good idea! Thanks! Actually I now prefer spelt (and also mixed grains) to a white rice risotto. Personal taste though. Kellie, I’ve not tried oven baked risotto, but your spelt risotto might just change that. Delicious recipe! I can’t imagine anything involving switching on an oven sounds good right now, but maybe when it’s cooler! Beautiful dish. Love the fact that it can be baked. Thanks so much. What a kind thing to say! mmm. I have not tried spelt risotto though I do like the idea of the slightly sweet jerusalem artichoke in a risotto. Thinking this might work quite nicely with some panfried scallops too. Might try your risotto recipe with something like that as am not the best blue cheese fan. Yes, not everyone is a blue cheese fan, and indeed I have many vegan readers so it is really the idea of the baked risotto -and perhaps trying a different grain. I really like roasted crown Prince squash wedges, chard, four grain mix and goat’s cheese too. Scallops sound very luxurious. Very Valentine’s Day in fact! I know! I use spelt flour for most everything nowadays, with flatbread being particularly successful. I have a cumin seed chapati recipe coming soon. What’s your favourite spelt-made flatbread? I’m using Pippa Kendrick’s recipe from “The Intolerant Gourmet” with Doves Farm Organic White Spelt Flour instead of their gluten-free white self-raising flour mix. I’ve also added a 1/4 teaspoon each of baking powder (gluten-free) and bi-carbonate of soda. The mix produces a lovely soft flat bread. I’m next going to add a quick yeast and see how that works. I’m pleased to say that, so far, I am not noticing any real side effects from using a wheat product. Have you made a Spelt Soda bread at all? That’s another idea to be tried! I love working with spelt flour and that is a good tip you have given regarding the addition of bp and soda bic. I tend to add buttermilk as that does the same kind of thing (softens – great texture). That’s good to hear that spelt flour suits you where ‘regular’ wheat does not. And yes, I have made spelt soda bread but not in a while. I am planning on making a seven seed one with my Sharpham Park flour very soon. Thanks for your comments and tips, Margaret! Seeing your post this morning, made me open up on the Sharpham Park site, which I found very interesting. I have to say, there products do seem a little expensive but I imagine they are very good, both to use and eat. Am I right? I should be very pleased to hear of your further progress with their goods and your trial of them. I’m definitely using yeast with my flat breads tomorrow morning. It is more expensive, you are right Margaret. I have tried quite a few such products and can honestly, hand on heart, declare that they are worth the money. I don’t think I could afford it if I used it exclusively, but as I don’t eat that many grains I will stump up the money for at least some of my baking and savoury grain dishes. But that’s me. The fact that it is British spelt from a named farm with a real owner (if you know what I mean), means a lot to me too. I have a couple of other baking recipes that will make their way onto the blog soon. I have also used their flour in my beetroot and chocolate cake to good effect. And loovely to chat to you too, Margaret. I’ve found another source of Spelt flour this morning by Wessex Mill, of Wantage, Oxfordshire. I’ve used a couple of other flours of theirs and I’m hoping for good things from this wholemeal spelt bread flour. I’ll let you know how I get on. I’ve been eating the spelt bread (wholegrain spelt by Doves Farm) all week and that has only caused a little irritation which is great. That’s great news, Margaret. I think many people find that a little spelt is okay, especially a good flour or the grain itself. Hope your further experiments are all positive. Don’t go too crazy with it though! Hi, No I won’t! But it is rather exciting to find a decent bread to eat …just when you thought you couldn’t and wouldn’t, ever again, be able to enjoy anything even vaguely like a real bread!!! Kellie this looks delish! I love Jerusalem artichokes and have never noticed that they give me any grief (although, I eat so many pulses and cruciferous vegetables I’d hardly notice anything else). I’ve never made baked risotto before, but I can appreciate the freedom it provides. I’m not sure about finding pearled spelt here – spelt for sure, but I’m not sure that pearling grains is a thing. I’ll have to carefully scout my grocery stores, because this is a definite must make. 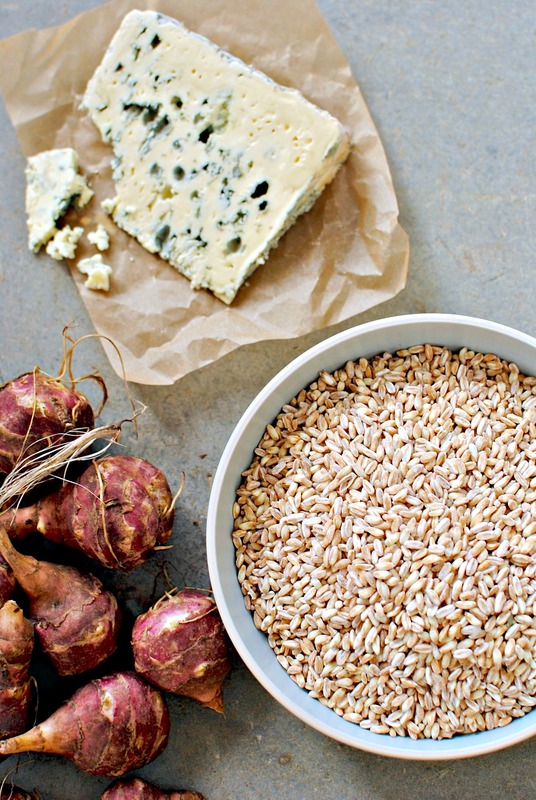 Whole grains, artichokes, blue cheese, and spinach? It’s like it was made just for me! Another fabulous recipe! Beautiful. And gorgeous photos. Do you know, however, that pearled anything is processed? It’s not whole grain. sorry. but important to know. For example, insstead of pearled barley, buy hulled barley. Then it’s whole grain barley. And it does take longer to cook, but it’s well worth it from a nourishment standpoint. Usually I agree but this particular spelt has only the lightest of processing. If you look at the photo of the spelt you will see that it is richly browny gray. It is nothing like any other pearled grains I have seen. No shiny whiteness to be seen! I think they have perhaps used the word pearled to imply that it doesn’t take an hour to cook. Thanks for commenting. There is a world of difference between pearled and pot barley, for sure. I think I have actually misread the packaging tbh. All the other products are wholegrain etc but this one, as I just looked at the packet again, just says organic pearled spelt. My apologies for the error. I do think however that it will be head and shoulders above other pearled products I have encountered. I have asked for any nutrient breakdown that can be provided and will let you know. Again, apologies for the misunderstanding/error. I have amended the text to reflect this. Vacuum-the-downstairs-dust-the-upstairs kind of easy is what I’M talkin’ about. Never tried risotto (too much work), but this is not the first bake-in-the-oven risotto I’ve seen. But it IS the first one I’m looking forward to trying. Bookmarked! Your post arrived just in time. As it happens, I’m making risotto tonight – and the mushroom and asparagus I was planning to use will now be joined by some of the blue cheese we picked up last week. But to bake, or not to bake? Now that is the question. Superb – I have been meaning to find something with Jerusalem artichokes to cook for a while as they’re in season here (here being Jerusalem!) – this looks wonderful – lots of my favourite things! Thanks Gilly. It is funny that many people call this tuber Jerusalem artichoke although it apparently has nothing to do with your city. Just out of curiosity, what do you call them? The sunchoke crisps really sell this for me. This is what risotto always lacks for me: a bit of contrasting texture. The crisps solve that! I haven’t done the spelt risotto thing yet but when I do, I think I might start here (sunchoke season permitting…). This sounds like a great tweak. I love it when readers use my ideas as a springboard for their own ideas and seasons. Thanks for commenting, Lizzy! excellent – I am from Israel, Jerusalem. It is indeed the Artichoke and spelt risotto with blue cheese is made in Israel. However, there is one important historical facts the origin of this recipe was during the Turkish Empire and was first prepared by Armenians. You must grains . You might be enriching a vegetable and leftover roast beef soup with some of the risotto grains.